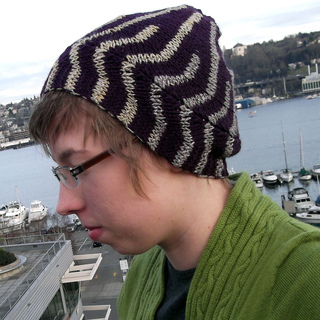 Short Row Stockinette Stitch Hat with Chevrons and Garter Stitch Border. Need a hat suitable for chariot rides? No? O, well if you did, this would be the hat! 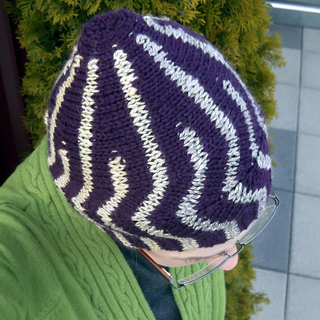 Chevrons of contrasting color work their way up the sides like lightning bolts, and the side to side short row construction adds a nice twist when you need a change from the typical hat knitting. Freyja (“the lady”) is a Norse goddess associated with love, beauty, war, and death. She drives a chariot driven by two cats- what’s not to love about that!